As it could be an interesting topic not only for hungarians, I will try to write it in english. The 40d bodies, as I know, have two main problems: shutter fails (this could happen even after 5000 activations…), or the main mirrors plastic frame brakes – I know 3 cases till yet, after 105000, 86000 and 50000 activations. Why exactly by this model? Probably because the separate mirror motor, which opens it very quick. The frame has the same “bearing” as the predecessors, and it is too weak for that forces. What to do, when broken? Don’t try to make more shots, because You will need the broken part for the repair. If it falls out, it’s hard to find it on the rug. (I have a friend, who has found it in the vacuum cleaner a few days later – I’m not joking. It’s a piece of black plastic, of aprox. 2×3 mm size). 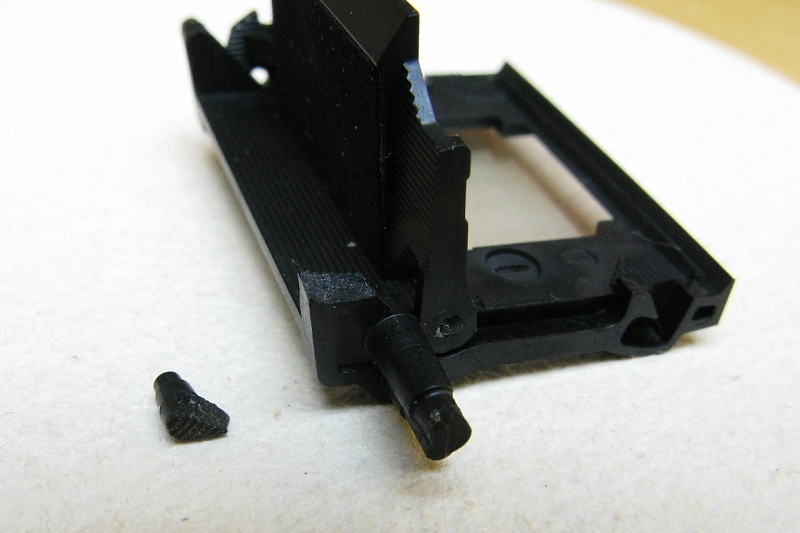 To repair it, You will need to disassemble completely the body, to take out even the shutter. 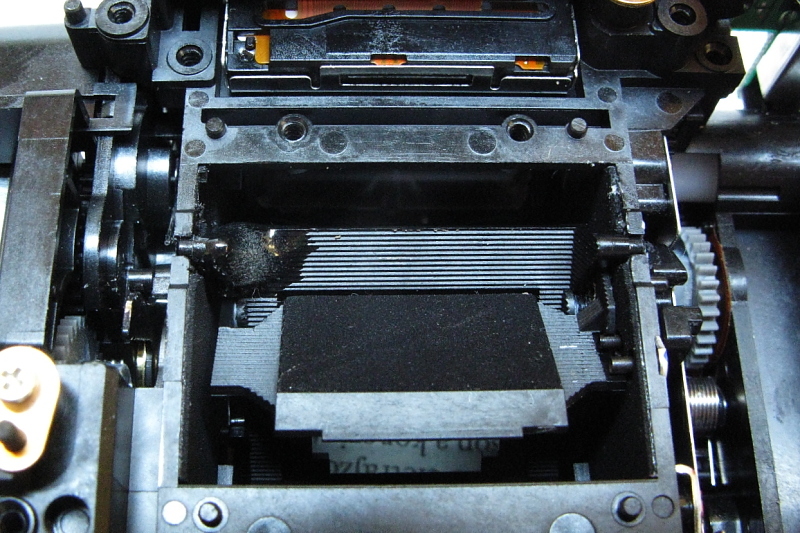 Under the shutter is a metallic frame, which keeps in the “bearings” (two semi-holes) the two pins of the mirrors frame. As the broken surface has always (in the 3 known cases were so) a sharp form on both parts, which fit perfect together, if we glue them together, we will have possibly a not too big geometrical error. But. To make the part stronger then it was, we will need a strong glue – I use a 2 component one, made in Hungary (Uverapid 5 A+B), which needs 12 hours to get hard. The glue has a honey-like viscosity – so it can not be used between the surfaces. Between the surfaces I use a cyan-acrilic glue – but very important, that the liquid one (not gel). It works very quick, and it’s not strong enough, but I use it only to position the two parts in the correct way (as they were before). At first, parts must be degreased (I use a special petrol from the pharmacy). The submirror must be protected with some adhesive tape. As You see, the outher surface is not perfect. Now, You have to cut the unecessary glue, and with the knife you have to make the surface a little bit rough, for the other glue. 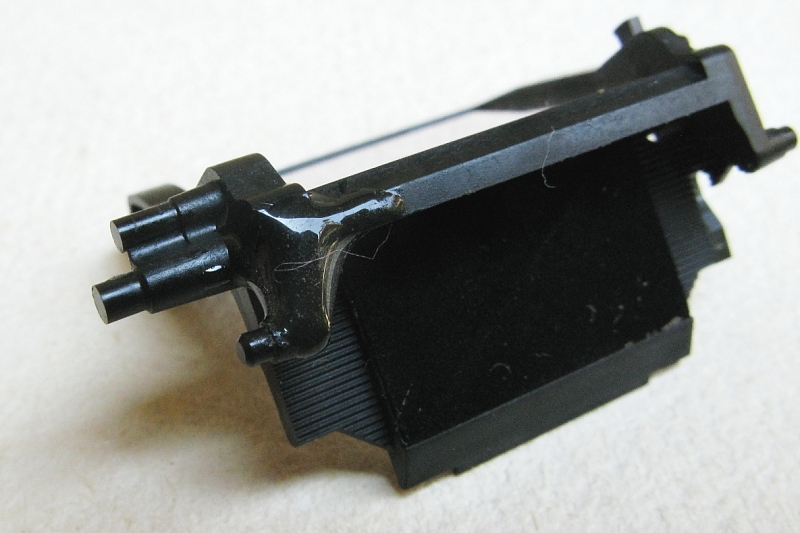 Then put the glue on the broken parts – be carefull, not to block the submirror. Last time I’ve done this in two steps, so two thin layers of glue. The most beautyful job is coming now: to put the mirror into his place. Yes, there is not enough place, the box was not designed for such operations. But if You have enough patience, You can manage it. I use for this operation a small flat screwdriver between the mirror box and the mirror frame. 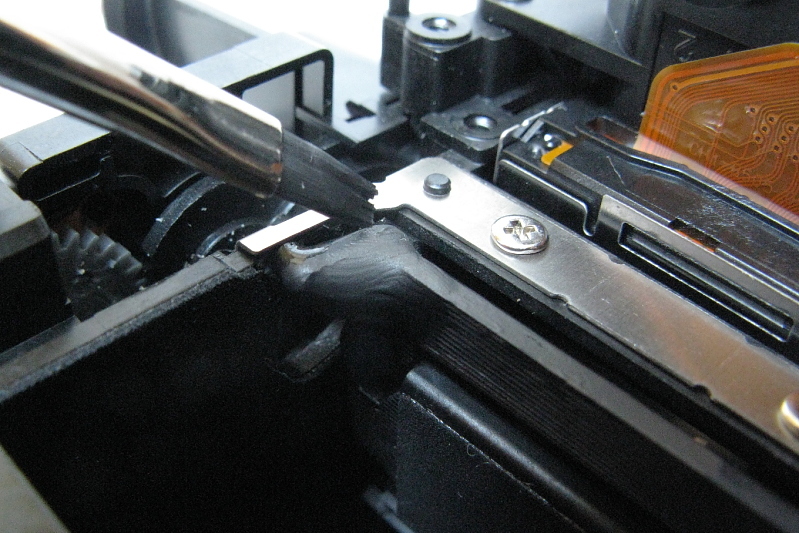 Don’t forget to put back the two springs on the mirrorframes moving pin – you can do it with the same flat screwdriver. 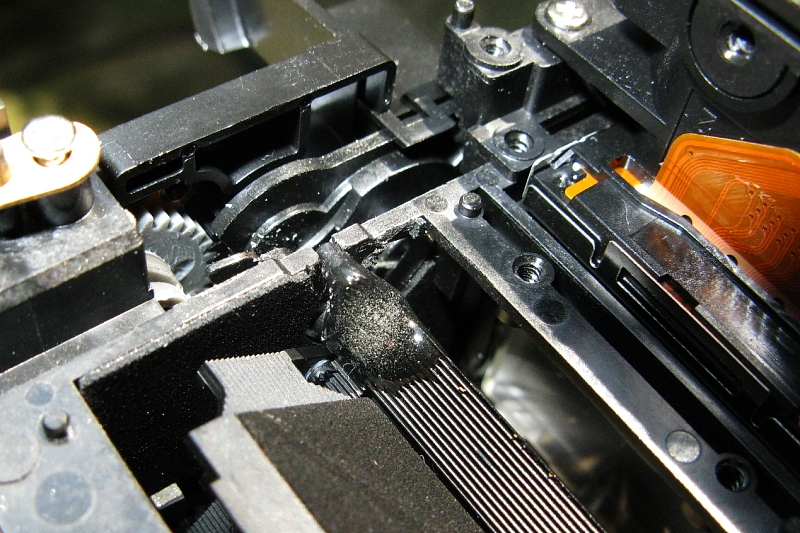 Be carefull, the mirror can be moved up and down only in certain positions of the mirror motor and the shutter mechanism – otherwise ther are some pins in the mirrorbox, which will block the mirror. There is another problem too. The glue has a very shiny surface, which could produce unwanted reflections. 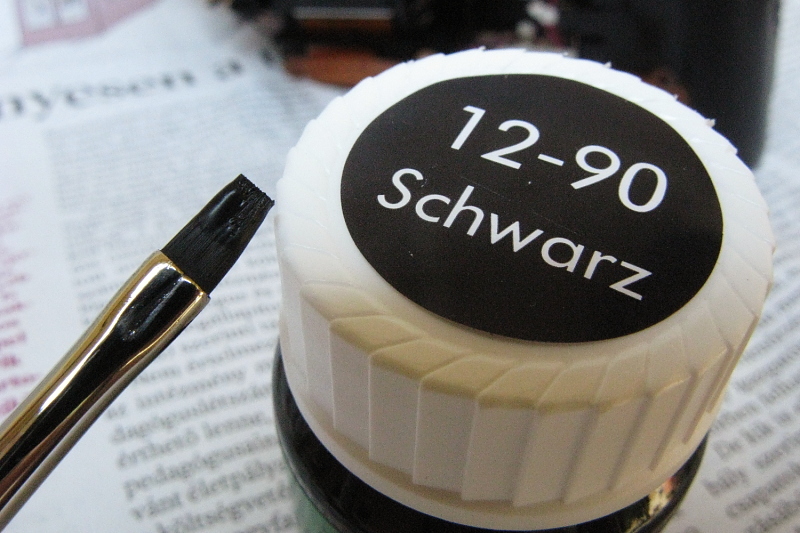 I have some acrilic paint (4 EUR for a small bottle which I will use probably in the next 80 years), which is black matt, plus a small brush. You can paint it in it’s place in the body. 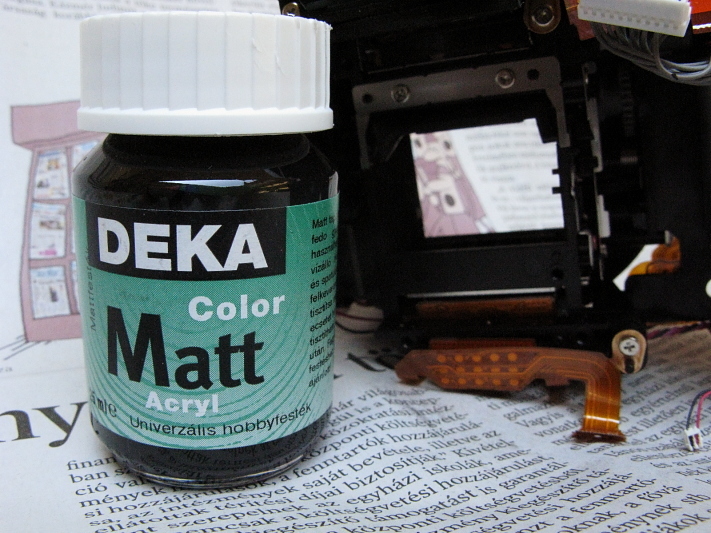 (You can use the same paint even for older lenses etc.). Now You have only to put together the body, and to check if it works. AF (autofocus) will be probably not ok. Frontfocus or backfocus can both appear. The other way is very barbarian, but it works: You have to modify the position of the submirror. By the good old 300d this was very easy, as it has an adjusting excenter. 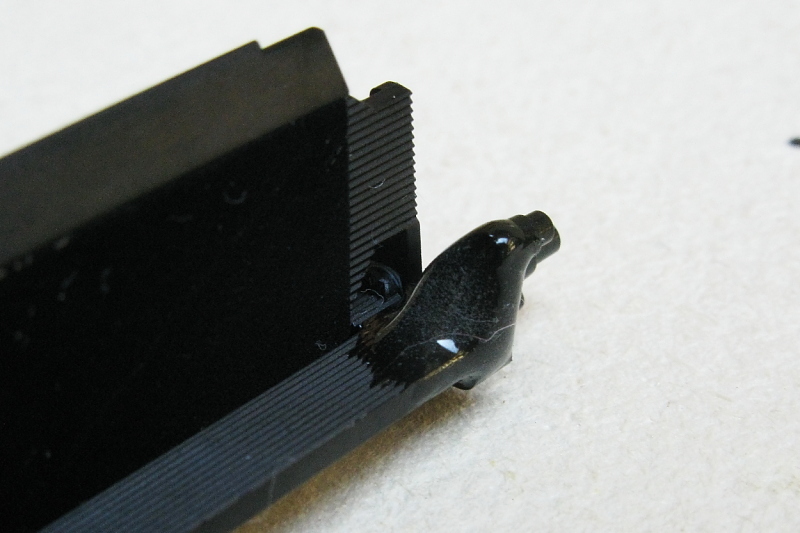 The 40d has fix bumper-pin. The control of the AF accuracy is very simple. Put the camera on a good tripod, use a 50 mm F1,4 lens on F1,4 aperture, use an adecvate target (at 45 grade, from 1 meter) activate the AF, then turn to liveview-mode, magnifying of 10x and if You have to modify to get the right focus, the body is not perfect. You can also take a picture, on the picture You will see the same, as in live-view. The following method you have to use only, when you have no other possibility, because it could happen, that you will damage the mirrors definitely. You have to take of material from the bumper (the palastic from the submirror). With a sharp knife, step by step, between the next step a short control. At first You have to put more material on the bumper – use the 2 component glue, you will need 0,2-0,4 mm. After the glue is (semi-)hard, You can cut it at the desired size. Remark (31.01.2015) For a few years I use the SPT software to adjust the AF system for 40d cameras, so I don’t make this “mechanical adjustment” anymore. For a quality work you have to do it with the software adjustment. This entry was posted in 40d, Canon camera. Bookmark the permalink. Hi, nice guide first of all. I got my hands on a 40D that apparently has the same problem but when you turn it on there are just a yellow light on screen and a red light into the viewfinder and nothing else shows up on the lcds, been told that the camera doesn’t go on to prevent any other damage caused for example by pressing the shutter button. is this possible? or i should be worried that something else is gone too? Just want to add that the mirror looks crooked and in the wrong position if you look inside the mirror box. Hi, i send my 40D for the same problem they repair with the same method but i broke that 2 more times. Someone know where can i buy this part to replace? I know no source for new part. I’ve sent You a mail. for those reading this blog, don’t try to adjust the AF by the metal stopper for sub mirror this way you will be dismantle and assemble million of time .. use AB glue is faster..
my camera also have another problem the AF point is always a few mm above what i seen in view finder, so i add layer by layer of tape on the main mirror stopper (plastic, left and right) and finally get the same focus point as i seen in view finder..
How many exposure are in the camera? You can read it out with the eosinfo program. Lol.. together with my case… 75% AF is away… mine is front focus.. the little steel stopper is already at the extreme back, i think i need to scratch the sub mirror like you say… how you do it ? 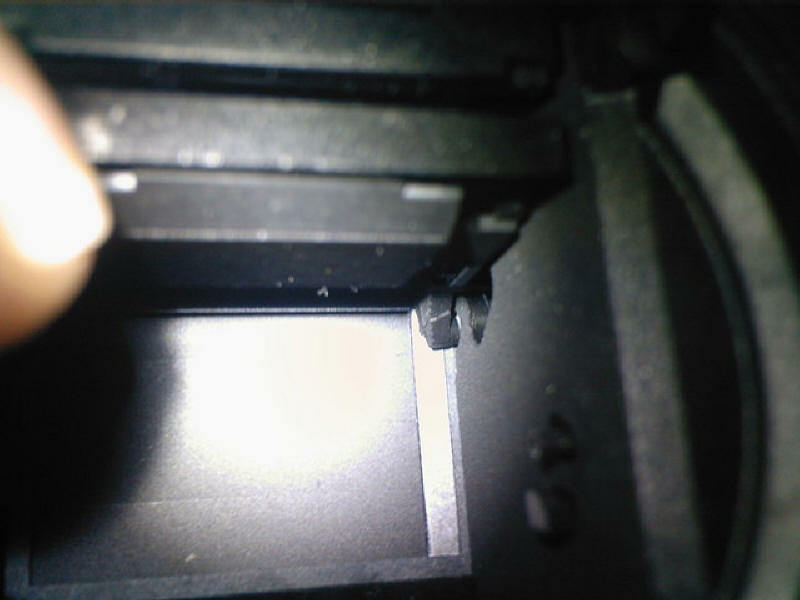 scratch from the front of the lens mount or dismantle and did it? … any other way to adjust the focus? software or some easier way? I insist to repair this camera myself because this second hand camera i bought only at about 260EURO (450SGD)… if i send to canon service centre, that will cost me more than the camera price… lol..
from 3 cases I have 1 camera without AF problems, 2 with. by the way.. do you feel that it is really tired to dismantle almost everything just got get to the mirror…took me the whole night….and you open camera repair shop or just repairing for friends?? yes, it’s tiring – and therefore the official repair technology is based on the COMPLETE change of the mirror box. This kind of damage we call in hungarian “economically full damaged”…. anyway, in the last time I try to repair always in the early morning, instead of midnight. No, I don’t have a camera workshop. 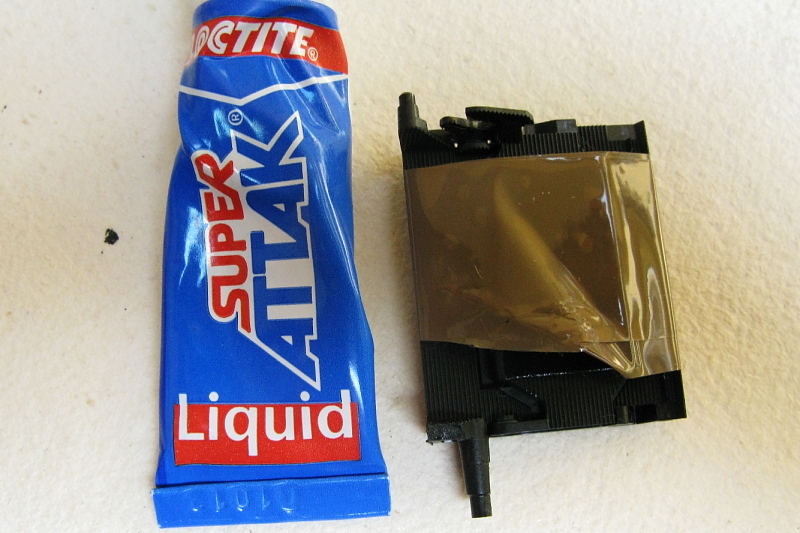 Ya, i realise that a thick AB glue would make that mirror movement lose balance a little….so, i put many layer of “super glue” to reduce the volume and weight (liquid type) and put some glue to the other side to balance the weight as well as reinforcement …. about the thick AB glue: I think it isn’t true, what You say. In fact, the mirror has a rotational moving, and for that kind of moving important is the moment of inercia (or rotational inercia), which depends not only from the mass, but even the square of the distance from the rotational axis, which in this case is very small, so don’t be afraid about the plus mass. Without the paint it was a very bad reflection. hi, i am having exactly the same problem.. even breaking point is the same… i am also repairing like you.. now waiting for glue to dry… Haha… after the repair, is it 100% work like normal? like high speed continuous shooting etc… how many shots have u shoot with your repaired camera? now still good? till today i repaired 3 cameras with this method. one of them has ca. 25000 expos after the repair… and the others didn’t came back too. but i think, high speed continuous shooting is NOT normal for such a camera, you have seen it from the inside, you know, what i mean. too big forces, too big acceleration of the mirror. 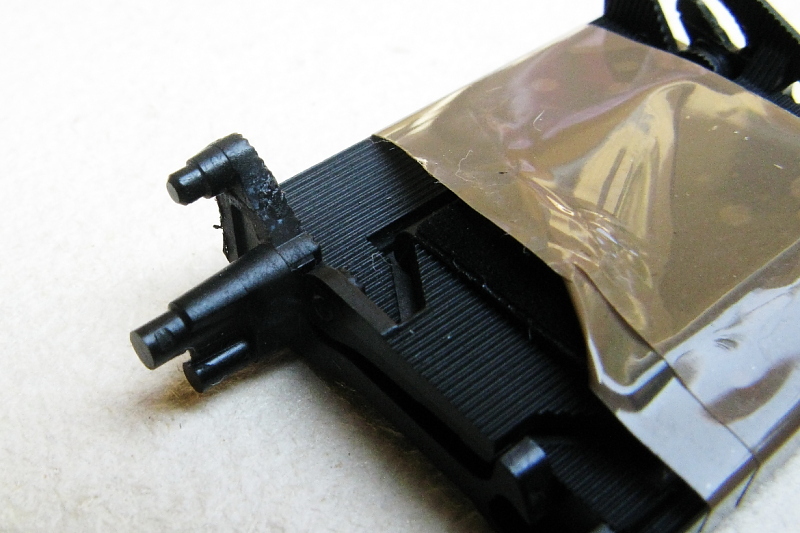 be careful to paint the glue with matt black colour, to block the reflections.